Frankie Edgar - avkilla defeats Nate Diaz - arc6kil via second rd tko. Ye because the game was full of lag and im sick of it every time I have any league fight the connections terrible ! An on top of that as soon as fight finished you deleted me with out even acknowledging the fact it was laggy .probably because you knew it was a Cheap fight !! Ben Henderson - FEDE defeated harshil123 - Chad Mendes via kimura in first round!!! gf bro you have some nice skills but i bought you out of gas!!! and boom kimura !!! Fede - Junior Dos Santos defeated justin4288 - Alistair Overeem via arm triangle in the 1 round GF bro !!!! Colonelpizza defeats Solenlegacy via headkick KO in round 1 great fight man we traded blows the whole time! 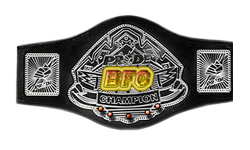 Arc6kil( Cain Velasquez ) defeats el terrible (hunt) via sub RD 1 GF . Confirmed! Good job surviving being rocked twice! I'll give Hunt one more shot before I get rid of em. MrSwagger(Anthony Pettis) vs El_Terrible069(Takanori Gomi) ended in a Draw.I won the first rd he won the second. confirmed...good fight, we'll definitely need to rematch. skyrider defeats Archaotic by DQ. he is a no show. whats that? no show?? you have 1 entire week to figured a day and an hour,, Archaotic says he will not shows??? the whole week i tried to communicate with this guy and no response. thats why he's a "no show"
ok but doesnt mean that you win the fight either of you make the fight so yllowcard to both ( you must comunicate that you have been looking for this guy here in the forum so i could know that youre looking for him!! now itys late!! new cards released! !